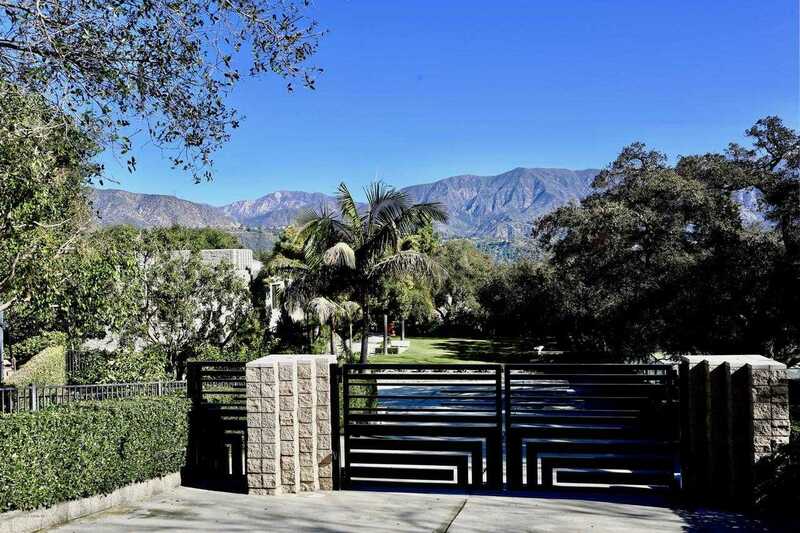 MLS# 819000702 – 3990 Chevy Chase Drive, La Canada Flintridge, CA 91011 – Robbyn Battles | Battles Real Estate | JohnHart "Real Estate Redefined"
Listing courtesy of Timothy Durkovic (CalBRE #01923778), Douglas Elliman of California, Inc.. This unique and artistically conceived estate was designed and built by noted industrial designer Kohei Eguchi in 1995 as his personal residence and is a work of modern art. The home’s magnificent architecture evokes feelings of space and light, bringing the outside in. Reminiscent of Frank Lloyd Wright, the clean lines and large spaces help enhance the magical environment of this home’s setting. The private gate and expansive front lawn usher you to the dramatic entry which leads to the heart of the home – a two-story formal living room with massive windows that frame the property’s mature oak trees. The main portion of the residence has 5 suites, a family/media room, formal dining room and living room, kitchen and an additional family room on the second floor, originally used as the presentation room for Eguchi’s Design Studios and conceived to be the master suite. A separate but integrated guest quarters has three additional suites. The 3-car garage, plenty of parking, and separate workshop complete the estate. On 1.1 acres of land, 2 lawns provide plenty of room for a pool. Experience a true feeling of escape in the oasis of this forest-like setting with a stream, tea room and several patios to take in the beauty of the location. Not to be missed! Building size: 8275 sq ft. Please, send me more information on this property: MLS# 819000702 – $6,788,000 – 3990 Chevy Chase Drive, La Canada Flintridge, CA 91011. I would like to schedule a showing appointment for this property: MLS# 819000702 – $6,788,000 – 3990 Chevy Chase Drive, La Canada Flintridge, CA 91011.